[THE INVESTOR] Samsung Electronics plans to debut the Galaxy Note 8 on Aug. 23, The Bell reported on July 12. A Samsung executive also told The Investor that the bigger-screen phone will be unveiled later next month in New York but declined to confirm the Aug. 23 date. According to sources, Samsung recently decided to advance the Note launch to start the phone sales from September globally. The earlier launch comes amid growing speculations that Apple’s iPhone 8 release could be delayed due to supply constraints of some parts such as chips and displays. While launching its flagship S phone early in the year, Samsung has unveiled a Note phone in September usually at the IFA trade show in Berlin in response to a new iPhone that comes out in the latter half of the year. 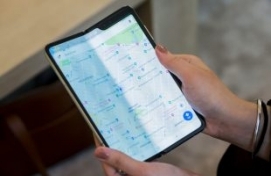 The new Note phablet, the successor of the ill-fated Note 7 last year, is expected to come with the English version of Samsung’s artificial intelligence assistant Bixby and an upgraded stylus S-Pen that supports translation functions. The phone is likely to have a 6.3-inch display screen that compares with the 6.2-inch screen of the S8 Plus.